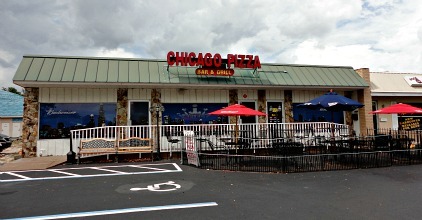 Chicago Pizza Cape Coral serves up the best deep dish and thin crust pizza this side of the Windy City! Chicago Pizza has been in business for over 20 years in the Cape and I think that says a lot about their pizza. Using recipes from Chicago's South Side and a blend of Wisconsin cheeses, plus hand-pinched Fontanini sausage. Owners Ross and Pam think the best pizza is the kind that's made the old-fashioned way. Indoor seating includes tables, high tops, and booths in their dining room and bar, plus outside cafe tables. 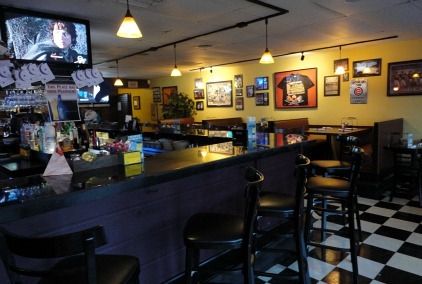 In addition to pizza, the restaurant also serves calzones, strombolis, and Italian food, Vienna Beef Chicago Hot Dogs, Mexican dishes, wings, salads, and sandwiches. If you're fan of Chicago sports teams, come on over to Chicago Pizza ...... what better place is there than your local pizza joint where you can watch games on large HD TV's with other fans. The first time we went, we got their Meat Lovers Deep Dish Pizza. I kept hearing how good it was and was dying to try it because I'd never had deep dish before. I thought it was excellent, loaded with pepperoni, sausage, bacon, ham and extra cheese. The next time we went, we wanted to try their thin crust pizza. We got sausage ........ and I'm still dreaming of gooey, cheesy yumminess with crispy crust! 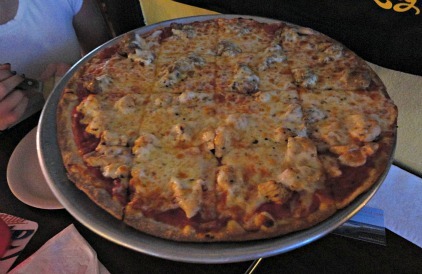 And, they cut the round pizza into squares and I don't care how you slice it or dice it, it was awesome. Happy Hour Beverage and Munch Menu is served Wednesday - Friday from 3-6PM, dine-in. Hours for the Cape Coral pizza restaurant are Tuesday - Friday 11AM-10PM, Saturday Noon-10PM, Sunday Noon- 9PM, closed Monday.